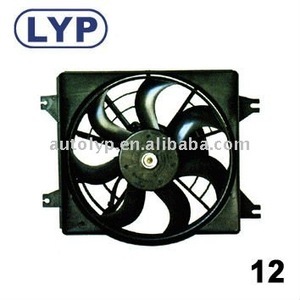 2 YRS Wenzhou Huihai Auto Parts Co., Ltd.
3 YRS Zhejiang Chuanzhi Precision Machinery Co., Ltd.
We have upgraded the efficiency of electric motor to make our radiator fans have longer working life. Q2. What is your terms of delivery9 A: FOB Q3. How about your delivery time9 A: Generally, it will take 30 to 40 days after receiving your advance payment. Q4. What is your sample policy9 A: We can supply the sample if we have ready parts in stock, but the customers have to pay the sample cost and the courier cost. 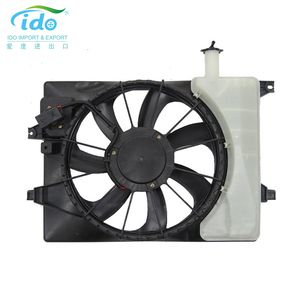 11 YRS Changzhou Doowon Automobile Electric Motor Co., Ltd. 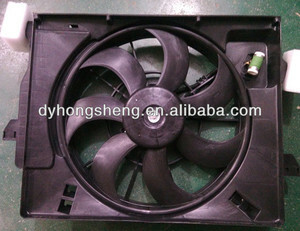 DESCRIPTION RADIATOR FAN /ELECTRIC FAN/COOLING FAN ASSY USE FOR Kia rio OE NO. 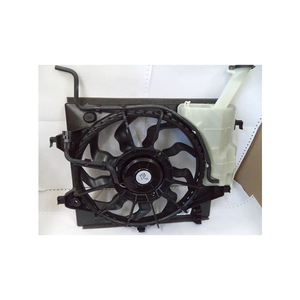 97730-OC100 main fan SIZE Same as OEM FEATURES HIGH-PERFORMANCE, LOW-NOISE, LONG SERVICE TIME we supply radiator fan assy from our own factory, we can supply kinds of radiator for braze&mechanical type, including American cars, European cars, Korean cars, Japanese cars, Chinese cars, Indian cars and so on. we supply goods with high quality and reasonable price pls feel free to enquriy us. thanks. 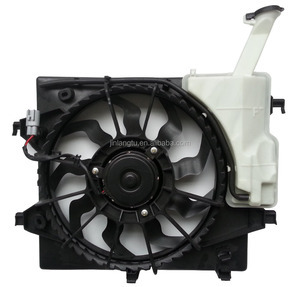 3 YRS Wenzhou Junyuan Auto Parts Co., Ltd.
Radiator Cooling Fan/Fan motor for KIA Pride More details model please contact us. Factory Part No. DR-IRFM005 Reference No. 2003, Yancheng Great Foreign Trade Corp. Ltd established, mainly exporting clutch and brake spare parts,automotive belts,shock,filter,spark plug etc to International Market. 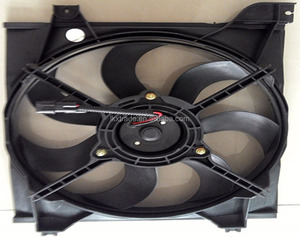 we can produce cylinder gaskets as per your sample, including quality, packing, apearance; different quality level for different market demand s.
3 YRS Ruian Yuzhou Automobile Parts Co., Ltd.
5 YRS Hubei Shuangju Industry & Trade Co., Ltd.
Alibaba.com offers 365 radiator fan kia products. About 1% of these are car fans. 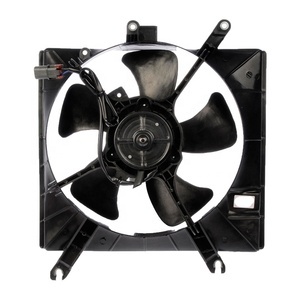 A wide variety of radiator fan kia options are available to you, such as paid samples. 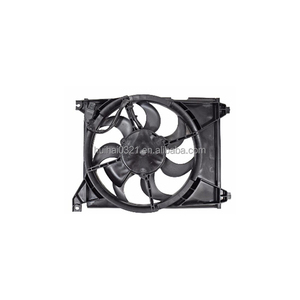 There are 365 radiator fan kia suppliers, mainly located in Asia. 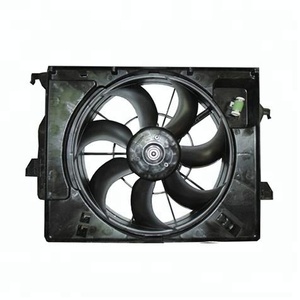 The top supplying country is China (Mainland), which supply 100% of radiator fan kia respectively. 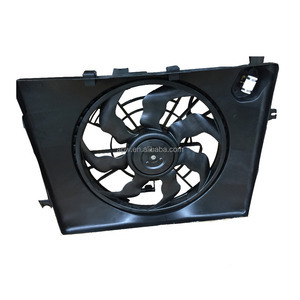 Radiator fan kia products are most popular in North America, Eastern Europe, and Mid East. You can ensure product safety by selecting from certified suppliers, including 17 with ISO/TS16949, 15 with ISO9001 certification.